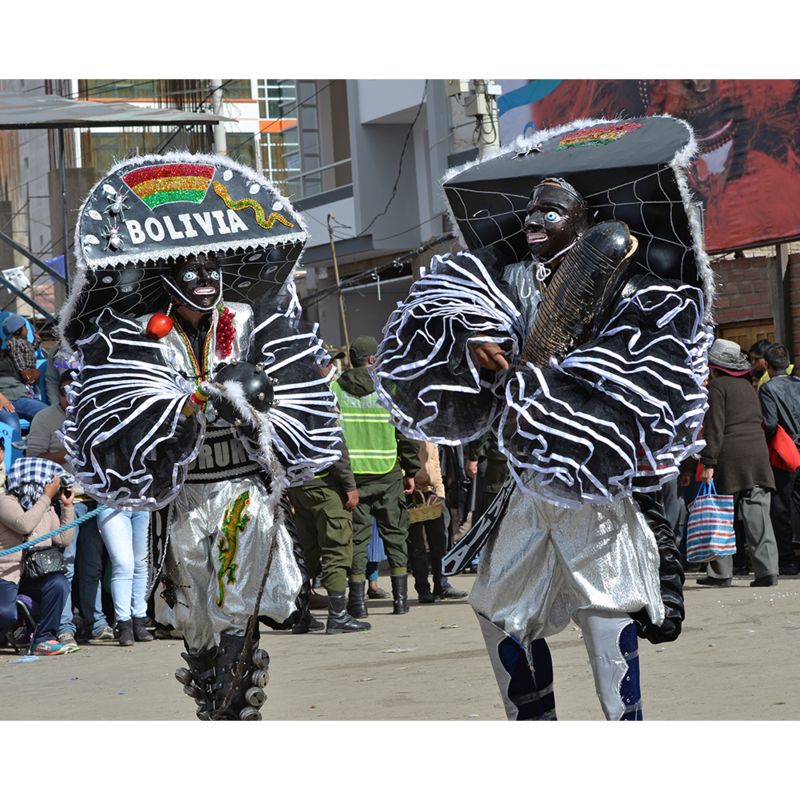 The negrito is the less common of the two kinds of dark-skinned characters in the Carnival of Oruro, Bolivia. Unlike the moreno, who represent the Moorish invaders of Spain, the negrito represents the progeny of African slaves brought to Bolivia to work the mines and farms. 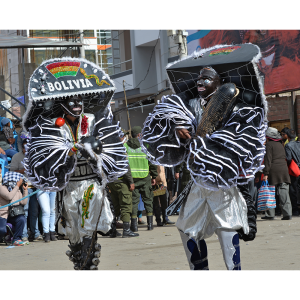 Their costume is colorful and highly embellished, and their hats are frequently as large as the dancer’s body, sometimes decorated with giant spiders, ants, or other totemic animals. 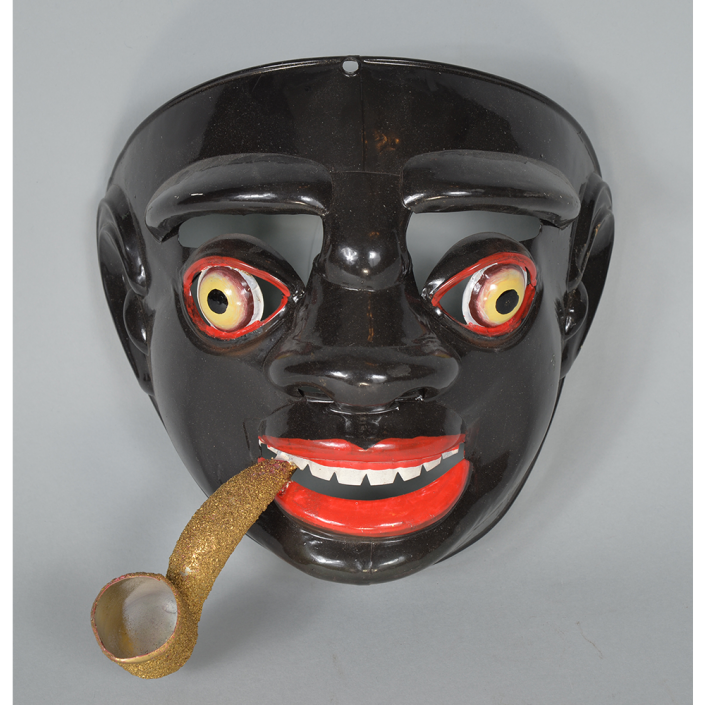 Their dance, like the Morenada, is accompanied by female counterparts, but unlike the Moors, the negritos frequently play musical instruments as they dance, such as drums, guitars, or the güiro scraper shown in this photo. 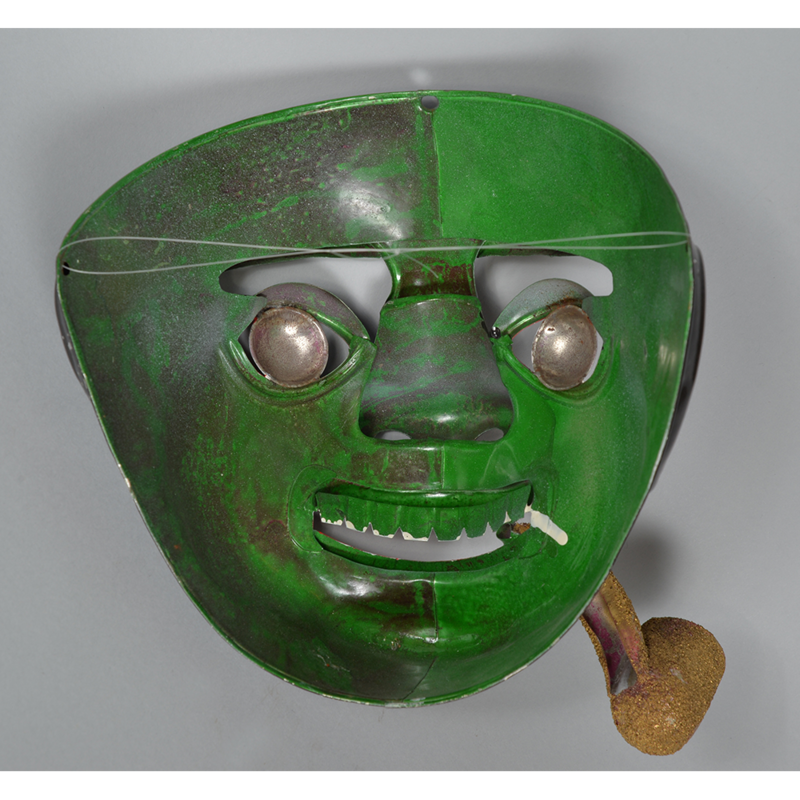 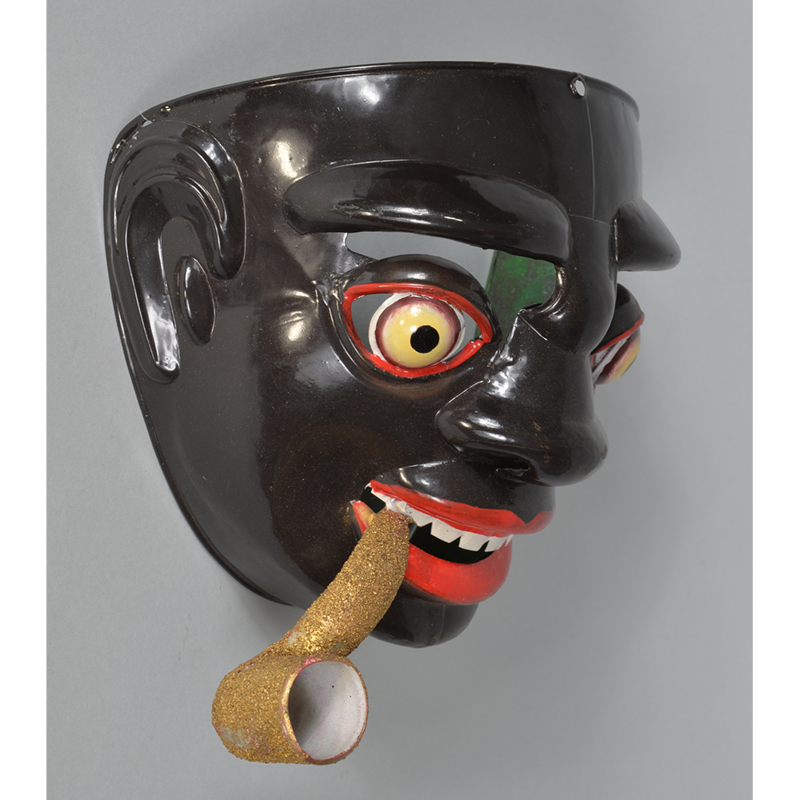 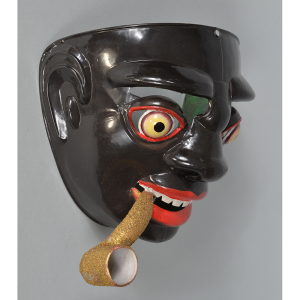 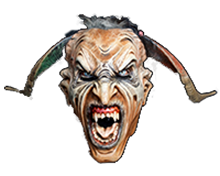 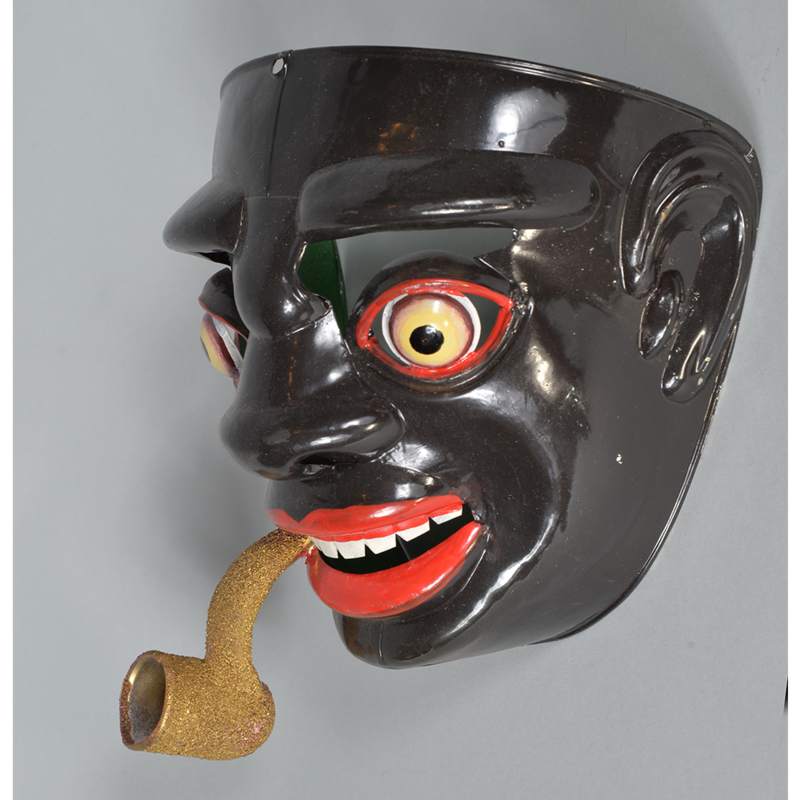 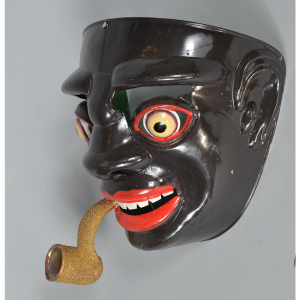 For more on Bolivian masquerade, see Peter McFarren ed., Masks of the Bolivian Andes (La Paz: Editorial Quipus/Banco Mercantil SA, 1993).